The Maryland Association for Environmental and Outdoor Education (MAEOE) is the local affiliate of the North American Association for Environmental Education. MAEOE is a professional, non-profit organization dedicated to creating a healthier environment for learning and the future. 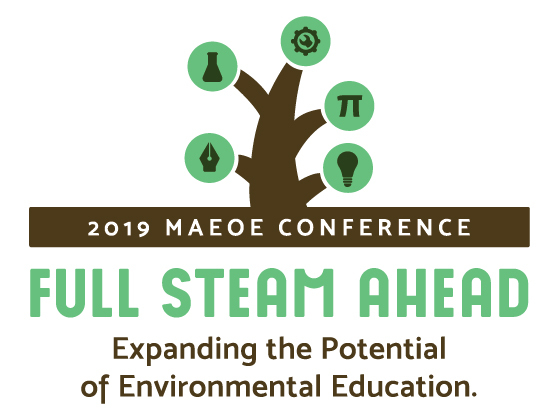 The MAEOE Conference is the largest state-wide environmental education conference in the nation and the only conference of its kind in the State of Maryland. The 34th Annual Conference provides a perfect opportunity to showcase your products and services to key industry professionals. Exhibitors of environmental/outdoor education and/or environmentally themed products and resources are invited and encouraged to participate. This conference attracts over 600 attendees. On Saturday, February 9th, MAEOE is offering opportunities to do 30-minute mini-presentations during the open exhibition hall from 2:00-2:30pm. This is a great opportunity to display a specific attribute of your organization to attendees as they explore the hall. MAEOE encourages exhibitors to showcase projects, products, animals, and materials/ resources they work with and wish to share with others. if you have an interest in highlighting your organization in a mini-presentation. MAEOE encourages, engages, and empowers the community to understand, responsibly use and promote the natural world.